Without concrete evidences, it would have being almost impossible to believe that a club in Nigeria's topflight football division, the Nigeria Professional Football League will be indebted to footballers considering the zero tolerance to owing players which the League governing body has embarked upon, the most recent one exhibited is the punishment meted out to Sunshine Stars of Akure for failing to oblige to the rules and framework of the NPFL with regards to the treatment they handed to their former players Stanley Dimgba and Ojo Mine. Though I trust LMC to show up with the biggest hammer as Sunshine Stars wouldn't even be comfortable seeing some clubs receiving sacred treatments after tasting LMC sanctions before paying Dimgba and Ojo. When my attention was drawn to the inhuman treatment handed to Duru Arinze by former league Champions, Rangers FC of Enugu, I was quite sure that it was the Scottish club, Glasgow Rangers and not the Flying Antelopes, the reason is not far fetched, clubs are aware of the sledge hammer that fell on the Akure Gunners for the inhuman and unjust treatment handed to two of their former players Ojo Mine and Stanley Dimgba. 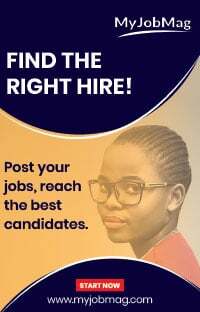 Apart from the national shame, Sunshine Stars at some point were restricted from registering players and at another point were stopped from fielding registered players thereby leading to series of poor results which unarguably is the reason they are battling relegation at this point in time. 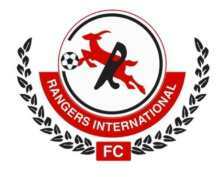 On confirming that Enugu Rangers were approached by the player's intermediary, Mr Endurance Iseri Ogbemudia, I was shocked beyond definition as I gathered that after some conversation's with the club's General Manager Davidson Owunmi and Team manager Barrister Amobi Ezeaku, the club subsequently stopped responding to correspondences sent in by the intermediary. Without mincing words, it is worthy of mention that Enugu Rangers are one of the leading lights in Nigeria's Soccer elite division with seven league titles to show for in their trophy cabinet, but it is rather devastating, nauseating, appaling, bedevilling, discouraging and unacceptable to find out that a club of this pedigree has comfortably flouted the orders of one of the most feared and respected league governing body through breaching article 9.45 of the NPFL framework and rules as applicable to overdue payables. Article 9.45 stipulates that "The terms of a contract between a club and a player should be strictly adhered to and where a club fails to pay remuneration or entitlements due to players for a period of more than sixty days, such club shall be liable to a deduction of maximum six points and a further deduction of three points for every further 30 days for which the remuneration or entitlements remains unpaid . Obviously, the seven-time league champions have invited one of the most trusted football bodies in the world LMC when it comes to giving judgement, particularly when it has to do with the welfare of players who it holds in high regards. Duru Stephen was at some point contracted to Enugu Rangers and served diligently as stipulated in the contract he signed, but the club failed in flying colours to keep to their words in the contract signed. The situation has been reported to the LMC and it is an understatement to say the body is beyond capable to deal with erring Rangers. If Sunshine Stars didn't go scot-free, Rangers should definitely not, except they pay up the debts within a certain period, to further compound their woes, the League Management company is a wounded fierce lion at this point in time, roaring to eat up prey's that comes in form of club's that are found wanting, particularly in terms of fulfilling the terms and conditions in a player's contract. The LMC has also reiterated commitment to its zero tolerance for overdue payables policy, it has been said that the well respected body will deny clubs from registering players for the 2018/2019 season if they fail to clear debts and pay up the actors, so it is safe to say clubs that are indebted to players have drawn a battle line between themselves and the LMC, and you can be sure, administratively, you can't fight a Shehu Dikko or Salihu Abubakar and win.